- As per the prodcut size varies, price varies from 2/- to 200/- per Piece. Being a leading firm in this industry, we are deeply engaged in offering a high-quality range of Trapezoidal Round Stainless Steel Nuts. 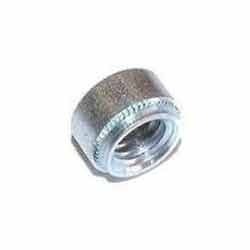 Being a client-centric organization, we are engaged in manufacturing and supplying Cap Nut. Being a well-established organization, we are engaged in offering a distinguished range of ms ss Threaded Ring Nut.